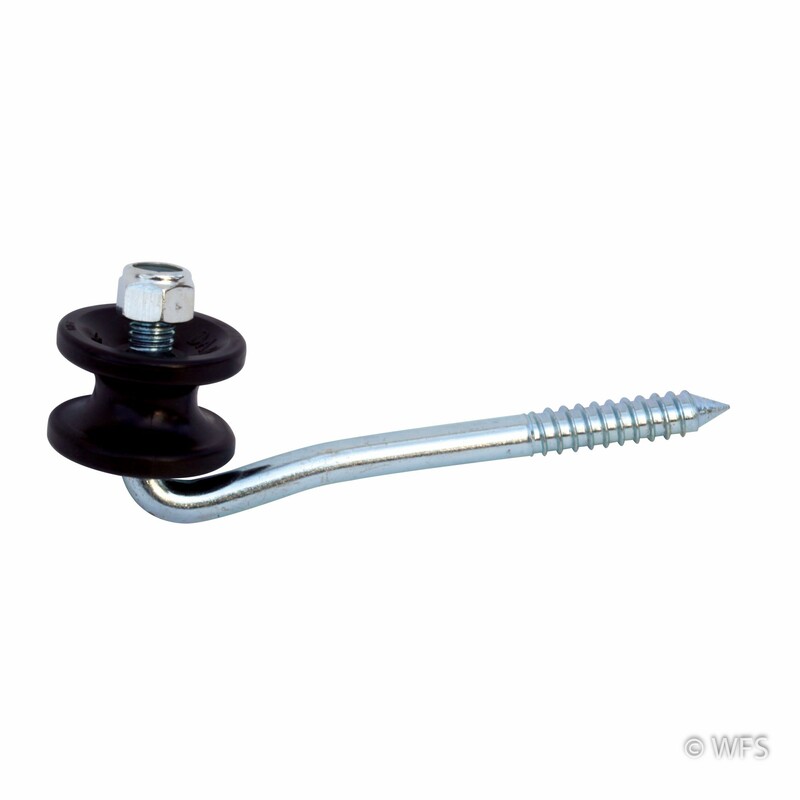 The 5.5" long J-bolt rolling insulator is ideal in high-tensile fence corners or for ending fence lines on wood posts or trees. The 5.5" long J-bolt rolling insulator is ideal in high-tensile fence corners or for ending fence lines on wood posts or trees. Replaceable donut insulator available in black or white.